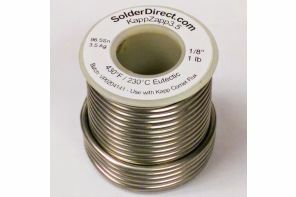 KappZapp3.5™ Tin-Silver solder is a NSF certified Lead-free eutectic solder that provides a strong and ductile joint with a high tolerance to vibration and stress on Copper, Brass, and Stainless Steel. 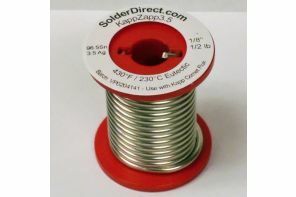 In many cases, a stronger overall assembly exists after joining with KappZapp3.5™ than with higher cost higher temperature Silver brazing alloys. 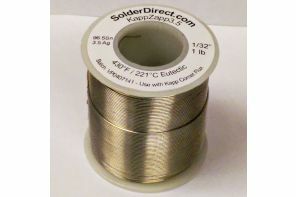 The low eutectic melting temperature of 430°F (221°C) prevents loss of properties and minimizes distortion on thin wires, tabs, and sheets. 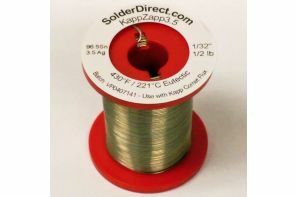 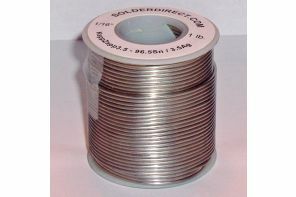 Also available in KappZapp3.5R Rosin-Cored and KappZapp3.5A Acid-Cored Flux-filled wire for convenient one step soldering.